I’ve been back from Austin for a few days now, and I am a little behind on adding items to my shop, as well as posting here on the blog. My last post was actually written over a week ago (even though it auto-posted yesterday), so I hope to post a lot more about the new work I’ve created for Cotton & Flax, as well as a little recap of Feliz and my adventures in Austin. I also have a new iPhone background I hope to share tomorrow, so stay tuned. 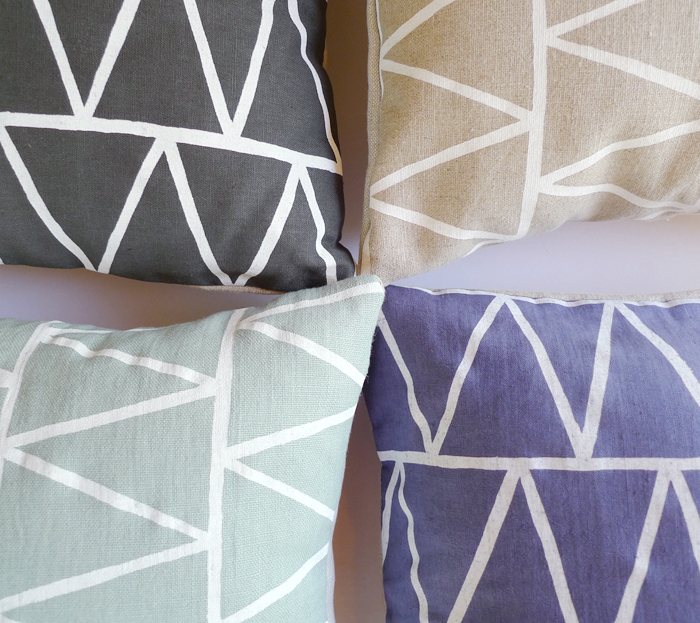 Here’s another peek at some of the pillows I’ve been working on lately. 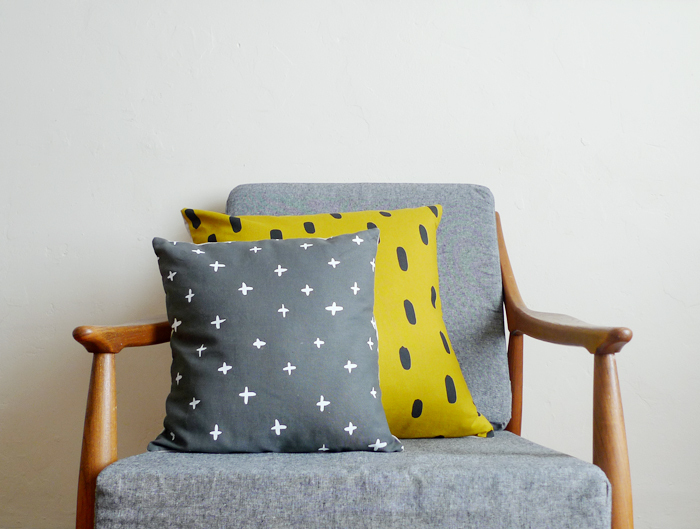 This is one of my favorite patterns, and the one that has sold best whenever I sell my work at Renegade Craft Fair. I’m hoping to have the shop open soon, so I can add the last batch of the items from my 2011/2012 collection. Excited to move on to new patterns for the 2012/2013 collection, but I have a feeling this pattern might be one of the ones that I keep around for another year.